This weekend, I attended the British Society for Eighteenth-Century Studies annual conference in Oxford. It was an enjoyable and thought-provoking few days, in which I met some lovely people, learned a lot and had a great many interesting and helpful conversations, not all of them just about the 18th century. It was my first time at BSECS, and I was there to participate in the panel ‘Public Mourning and Private Grief, c.1770-1820’. Last summer I was fortunate enough to undertake a curatorial placement at the Museum of London, funded by LAHP, to enhance catalogue entries and research funerary objects, mainly jewellery, from the Decorative Arts collection (more on this another time). Dr Danielle Thom, Curator of Making at the Museum of London and wise placement mentor, suggested that BSECS would be a good opportunity for a panel on 18th century funerary material culture and also contacted Emily Knight, who has recently submitted her thesis on posthumous portraiture in the late 18th and early 19th centuries. The focus of the panel, both in terms of the subjects discussed and the time period, meant that many links were immediately apparent between all three papers, which made for a stimulating and productive session which I enjoyed very much. There is so much that I could write about the questions raised within and between the papers, and I have a great deal to think about as I work on the rest of my thesis. In particular, the status of commemorative objects as private and/or personal; the choices/tensions/connections between asserting status and familial obligation or the expression of emotion; and the ways in which different types of objects, images and texts (funerary and otherwise) influenced each other. The other papers, and the discussion that followed, really reinforced for me the importance of considering different types of funerary objects of this period in a wider context. As Emily’s paper so deftly demonstrated, objects were influenced by, and created from, a range of sources, some directly personal and others selected as particularly resonant or appropriate (e.g. poetry). 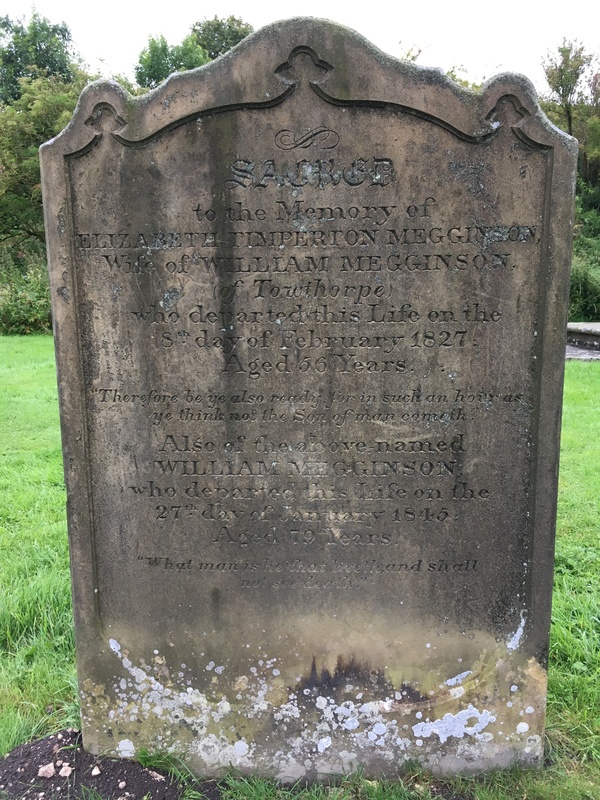 On the day after the panel, though, here are just a couple of aspects of memorialisation in the late 18th and early 19th centuries (which certainly don’t cover the full scope of the papers and discussion), which I have been reflecting on this morning, and some of the questions they suggest. The question of timing of the purchase, creation and use of different forms of memorialisation is a really interesting one. One of the portrait miniatures discussed in Emily’s paper was commissioned during the same month as the death of its subject, for example, though these were, of course, individually-made items which would have taken time to complete. Many of the mourning objects I talked about would have been pre-made and personalised with an inscription at short notice, possibly very soon after the death they commemorated, though some were clearly adapted or created for a particular individual, such the memorial pendant for a clergyman, Rev. William Clark (d.1786), which includes a church in the background, uniquely in this collection. As the title of Danielle’s paper suggests, timing was significant in the business of selling sculptural monuments. ‘I take ‘em when the tear’s in the eye’ was attributed to the sculptor Joseph Nollekens by his embittered and unreliable biographer, suggesting a rather cynical approach to the commercial side of commemoration. While some commissions were made by the very recently bereaved, they could, in some cases, take years to complete, due to the scale of the monument or to logistical issues, and an example of buyer’s remorse from one of Nollekens’ customers served as a reminder that both feelings and finances could change in the meantime. What impacts did the timing of the purchase of commemorative items, whether bespoke or ‘off the shelf’, have on the choice of styles, inscriptions, size and cost? At what point were they available for managing or signalling grief? How did this affect the role of these objects within the mourning processes of the bereaved? All three papers included objects associated with the deaths of young children. Emily discussed a locket commemorating a child for which a popular image had been adapted, as no portrait of the child had been made during his short life, a fascinating example within her exploration of the ways in which posthumous portrait miniatures included recycled and recontextualised quotations, both visual and literary. In this case, the child’s hair had been arranged in the back of the object, preserving something very personal of a cherished son, who was otherwise represented visually by a substitute, though clearly meaningful, image. In my paper, I looked at a ring from the Museum of London’s collections which commemorates the seven children of the Woodmason family, who died in a fire at their home in London in 1782. Both the design and inscriptions are unusual, which I suggested were a distinctive response to this tragic loss, for which the more usual designs were not considered adequate. Other objects commemorating children were of more conventional design, such as the bracelet slide commemorating ‘L B’ who died, aged 5 months, in 1778, which I included in my presentation as an example of typical mourning jewellery in this period. Danielle highlighted the extraordinary monument to Penelope Boothby by Thomas Banks, in Ashbourne Church, Derbyshire (1793), which depicts the child lying as if sleeping with, touchingly, her arms held in front of her. How do these objects inform or complicate our ideas about commemoration, particularly in considering the influences of obligation and grief? Did the commemoration of children differ from that of adults? In what ways? And what might this tell us more broadly about commemorative choices, designs and the use of these objects? The inter-disciplinary nature of BSECS made it a great forum for bringing together papers which raised and considered these and many other questions relating to mourning and commemoration in the 18th century, and an audience with diverse interests and experience to discuss them. It has given me plenty to consider, including identifying ways in which to continue these conversations, and a boost at the start of the year to press on with the final part of my PhD. A couple of weeks ago I started looking for details about Prince Albert’s funeral, to check whether his coffin had a fabric covering or not. While reading newspaper reports, I came across a tiny, fascinating detail which highlighted the role of ten anonymous men who were crucial to his funeral: the coffin bearers. The term ‘pallbearer’ is usually used, these days, to describe the people who carry the coffin, but when an actual pall was used, the role of the supporters of the pall was ceremonial, while that of the coffin bearers was practical. Multiple-shelled coffins, heavily embellished with high quality metal, were incredibly heavy, requiring more than the usual number of bearers. The coffin of the Prince Consort had at least two layers – one newspaper report mentions an inner lead case and an outer mahogany coffin – and probably more. Three layers were standard for aristocratic coffins destined for interment in a vault, and the Duke of Wellington (buried in 1852) had four. It included a silver plate on the lead shell and the outer case was mahogany, covered with crimson velvet. The inscribed plate, described as ‘massive’ by the Morning Chronicle, was silver gilt, with a crown and other ornaments made from the same material. For the procession, this huge, heavy and richly-decorated coffin was draped in a pall, covering the ten bearers and the bier, and supported by eight distinguished pallbearers. The bearers are, as usual, not named in the newspaper reports. They carried the coffin to the porch, where it was transferred to a wheeled bier. They pushed this very slowly, ‘with a stiff, creeping motion’, according to the Manchester Guardian, taking 20 minutes to reach the choir. 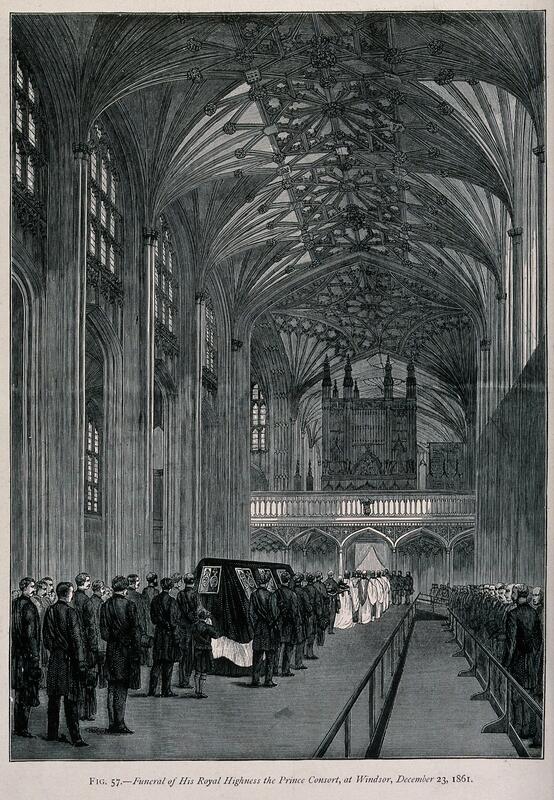 Those men, huddled in the dark under the heavy pall, wheeling the bier slowly through the nave along a thin white line, are a reminder that the visual spectacle of expensive, multiple-shelled coffins, their ‘mournful gorgeousness’, in the words of the Manchester Guardian, was only part of their impact. What they also afforded the families of the wealthy was the suitable gravitas of a procession slowed by the literal weight of the coffin. I’m writing this in the time between recording a radio discussion and hearing the finished result, when I’m both pleased to have done it and slightly nervous to hear how I sound. Footnotes is made for KCL radio by fellow PhD students Fran Allfrey and Char Rudman, who invite people in to talk about their Masters or PhD research. It was great to discuss coffins, death, funerals and undertakers in the 18th and 19th centuries (although I haven’t yet heard the finished result and can only hope that what I said makes sense). The other guest for this ‘Grave/yards’ edition was James Metcalf, who spoke eloquently about his research on 18th century graveyard poetry. 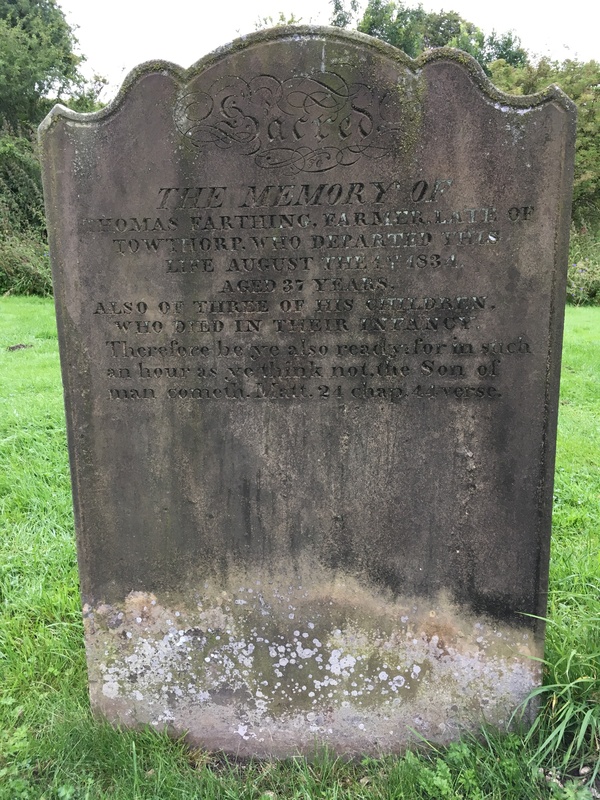 Thomas Gray’s ‘Elegy Written in a Country Churchyard’ is probably the best-known example of the work of the ‘graveyard poets’, and James argued that there is much more to them than their reputation as gloomy pre-Romantics suggests. 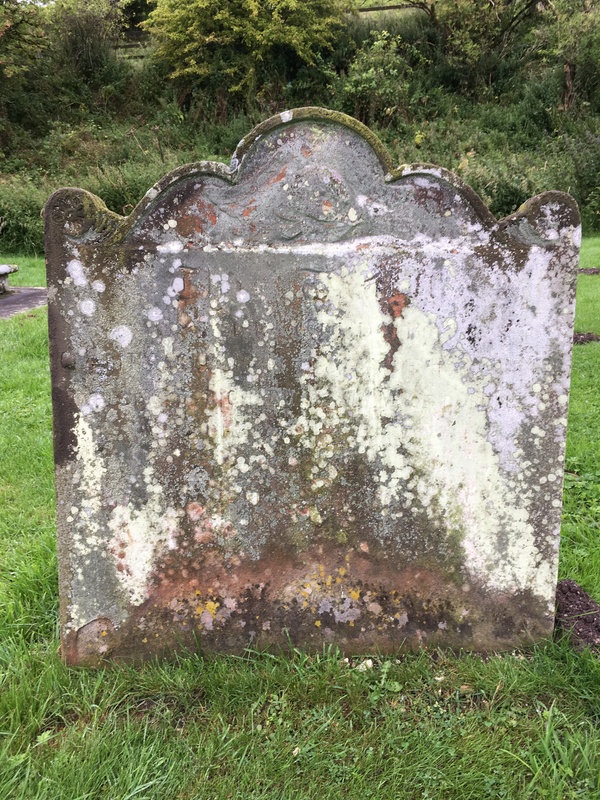 The overlapping themes in our research projects will hopefully provide different perspectives on 18th and 19th century mortality: rural/urban graveyards, literary/material culture approaches, and the contrast/continuities between mid-18th and early 19th century attitudes to, and anxieties about, death, burial and memorialisation. And here’s a link to an image in the London Metropolitan Archives of a fully-decorated aristocratic coffin, that of the Duke of Sussex in 1843, which included a large engraved breastplate, lid motifs and decorative panelling created with upholstery pins. This was a really enjoyable thing to do, and a welcome break from spreadsheet-wrangling. We first met to record a programme last year and, although it went out live, technical glitches meant that it wasn’t recorded, so it was an unexpected pleasure to have the opportunity to do this again. Do follow @FootnotesTweets for details of future episodes, and have a look at previous episodes on a range of topics on the Footnotes website. The episode is now on the website! The path from the small car park to Wharram Percy is narrow, between tall grass and then banks of earth, the ancient track ground into the landscape. I hadn’t realised, from looking at aerial photographs, how steep the valley is, with the walls of the church and the last intact buildings sitting well below the path and the buried remains of many medieval houses and walls. The church was used long after most of the village had gone, and the gravestones date from 1770 to 1906. It was a damp, heavy day and the photographs I took are not lovely, though I hope they will be useful to me when I’m writing about the coffin furniture and monuments of this site. Rahtz, P. and Watts, L., 1983. 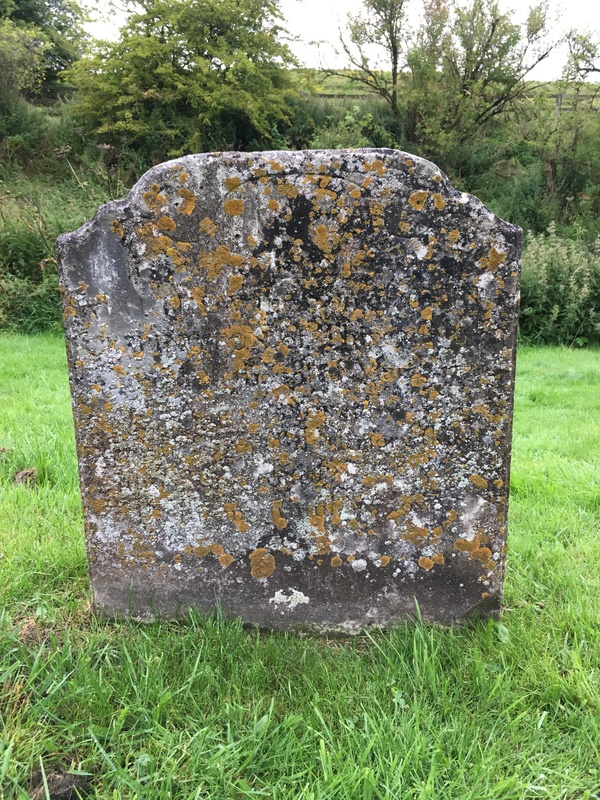 Wharram Percy: The Memorial Stones of the Churchyard. York University Archaeological Publications I. York: University of York. Wharram Percy is managed by English Heritage, and is free to visit. The title is from a poem, ‘Words at Wharram Percy’ by Peter Didsbury. I was in Yorkshire last week, combining a research trip with a few days’ holiday. It was a great week, particularly once I’d bought a woolly hat that made walking up and down hills in drizzle much more pleasant, and even more so when the clouds lifted. The research bit was visiting two sites I’m going to focus on for case studies for my thesis, in which I’m hoping to compare the material from London with coffin furniture and monuments elsewhere. One of the sites I’ve chosen is St Peter’s Church in Barton-upon-Humber, so last weekend we left Hull and drove over the Humber Bridge (recently Grade I listed) to Lincolnshire, wondered about the depth of the Humber estuary*, and arrived in Barton to explore this ancient church. St Peter’s Church is probably the most studied parish church in England, having been comprehensively excavated and researched from the late 1970s to mid-1980s before passing into the care of English Heritage. The archaeological investigations revealed the development of the church from its early medieval origins, through medieval rebuilding, Georgian additions and Victorian ‘restorations’. The Anglo-Saxon tower dates from around the turn of the 11th century and a helpful diagram in the EH guidebook shows how successive changes can be read in the stonework of the east wall. From my point of view, the most interesting aspect of the excavations is their incredible insights into continuity and change in burial practices from the 10th to mid-19th centuries, the subject of an exhibition within the church itself. The remains of over 2750 individuals were excavated from within and around the church, providing a hugely important sample for study. I’m interested in the 18th and 19th century coffin furniture which was recovered, as well as the remaining monuments. My main aim for my visit was to take photos of the funerary monuments inside the church, as well as to get an overall sense of what the church was like. The wall monuments are mostly late-18th and early-19th century, though a few are more recent. Although wall monuments can give the impression of being settled in marble permanence since the death they commemorate (surely part of the point of them), the very detailed descriptions of the monuments by Warwick Rodwell (2011, appendix 6), include reminders that the biographies of these objects are not necessarily straightforward. Some were moved in the renovations of the 1850s or when the organ chamber was built in the 1890s, a few seem to be incomplete or have lost parts of the decoration, and all have been cleaned at some point, either with a thorough scrub in the 19th century, or more sensitively as part of recent conservation. The monument to the Rev. 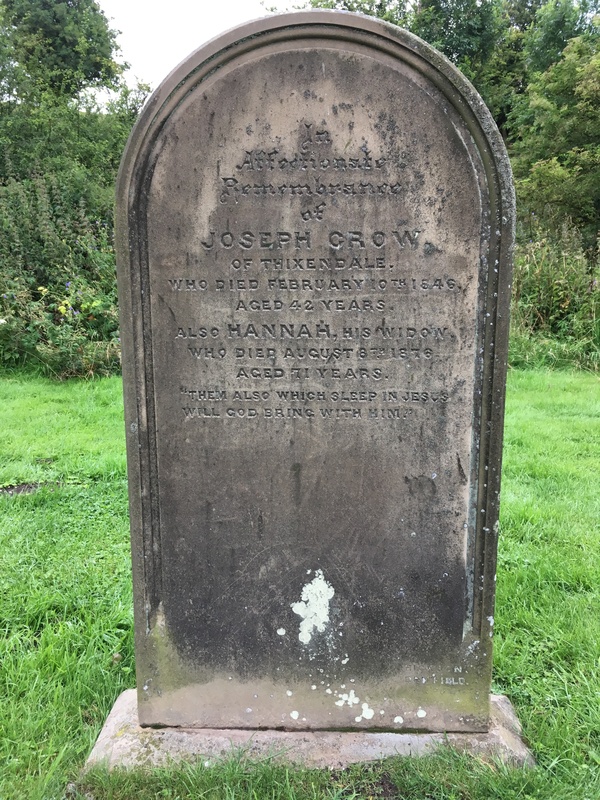 John Gelder, the church’s vicar, who died in 1751, is a case in point, with the description carefully exploring how the colour of both the lettering and the monument has been changed at various times. Moreover, Rodwell noted that although the central plaque is marble, it is set in a Coade stone frame, with the blocks above and below made of the same material and so cannot date from 1751, as Coade stone (an artificial stone containing ceramic) was a later innovation. John Gelder’s monument matches a similar one for his widow, Elizabeth Willan, who died in 1779, having subsequently married his successor, and so Rodwell dates both to the late 1770s or 80s. 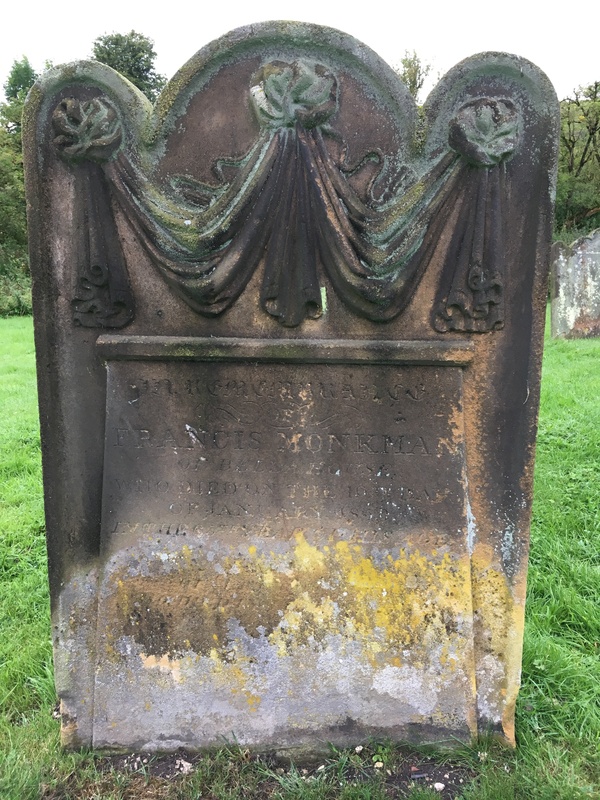 He also comments that Elizabeth Willan’s monument probably had its original gilding removed by the Victorians “to make the monument more sombre and appropriate to death” (Rodwell 2011, 1180). I spend a lot of time thinking about what people in the past thought monuments were supposed to look like, and this is an important reminder that these expectations affected not only changing styles, but also conservation and adaptation of earlier examples. Rodwell, W. with Atkins, C., 2011. St Peter’s, Barton-upon-Humber, Lincolnshire: A Parish Church and its Community. Vol. 1, History, Archaeology and Architecture. Oxford: Oxbow. Waldron, T., 2007. St Peter’s, Barton-upon-Humber, Lincolnshire: A Parish Church and its Community. Vol. 2, The Human Remains. Oxford: Oxbow. Rodwell, W., 2016 . St Peter’s Church Barton-upon-Humber. English Heritage Guidebooks (revised reprint). London: English Heritage. St Peter’s is a fascinating church, and the Buried Lives exhibition is excellent – well worth a visit. Details on the English Heritage website. We also went to Thornton Abbey and Gatehouse, which is nearby (also EH). *6.5m on average, apparently, though further up the estuary there have been attempts to walk across it. Graham Boanas waded all the way across in 2005, an astonishing feat, but I had a dim memory of seeing photos of an earlier attempt, and found them on the Britain from Above website – here is Lord Noel-Buxton mid-wade in 1953 (he took a boat over a shipping channel to start from a sandbank).